PRUEM, Germany -- Luxury electric carmaker Tesla offered pay rises and job guarantees to defuse labor tensions at a key German supplier, whose founder and CEO left the company late last month, German labor officials said. Klaus Grohmann, former head of Grohmann Engineering, a maker of automated manufacturing systems, has left the company, Tesla and German trade union IG Metall said on Wednesday. Grohmann Engineering has helped Tesla rivals Daimler and BMW build production facilities for electric car batteries. Tesla agreed to buy the company in November and it is key to the Silicon Valley carmaker's bid to succeed in the mass market by massively ramping up output. Since the takeover, Tesla has given job guarantees and pay raises to the firm's 700 employees in the small town of Pruem close to the Belgian border, under threat of strike action organized by IG Metall, the powerful labor union which dominates Volkswagen. The union said job guarantees and the offer of employee stock options have significantly reduced the prospect of a strike. Still, IG Metall is demanding a collective wage bargaining contract and improved pay. The union has complained that pay at Grohmann is 25 to 30 percent below an industry-wide collective agreement for the metalworker electric industry. The head of Grohmann's works council, Uwe Herzig, said Tesla had offered another 1,000 euro ($1,089) one-off payment after Easter, on top of job guarantees, pay raises and stock options. In March Tesla offered employees a pay raise of 150 euros a month. This was followed up just before Easter with an offer of 10,000 euros in stock options for four years, and a pledge to guarantee jobs for five years, Herzig said. Herzig said Klaus Grohmann, under whose leadership Tesla had planned to run the business, retired at the end of last month. "In November we were told that everything would remain the same, and then on March 31 we were surprised to hear that he will retire," Herzig told a news conference, adding Klaus Grohmann had not been seen at the company since then. Herzig said the founder's departure had been sudden and he had not had a chance to speak with Tesla Grohmann's new management, despite efforts to reach out. 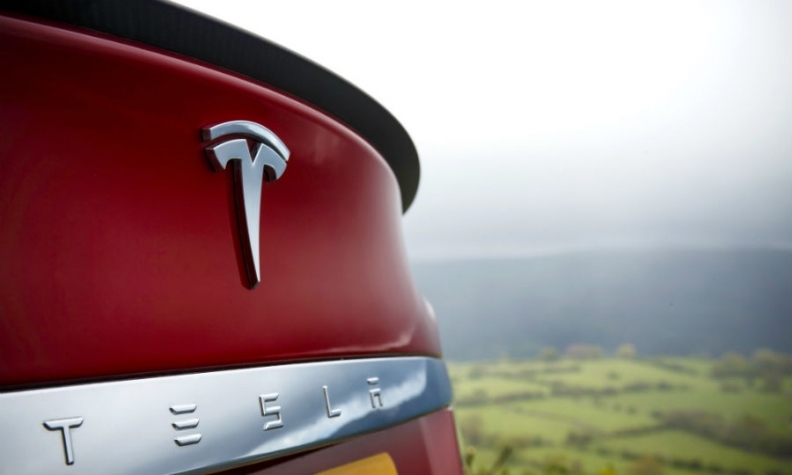 Tesla confirmed Klaus Grohmann's departure on Wednesday. "Part of Mr. Grohmann's decision to work with Tesla was to prepare for his retirement and leave the company in capable hands for the future," a Tesla spokesperson said on Wednesday. "Given the change in focus to Tesla projects, we mutually decided that it was the right time for the next generation of management to lead." The union wants to see Tesla's management adopt pay agreements and negotiating tactics more in line with what other workers in the metalworking industry are getting. Herzig said Tesla's acquisition of Grohmann made many workers leery that the company would now stop doing work for other customers, making it too dependent on Tesla's fortunes. "We want additional guarantees given in more formal ways as an additional assurance to the workforce some parts of which need reassuring given the recent changes," Herzig told Reuters. Christian Schmitz, head of IG Metall's Trier branch, said concessions made by Tesla to guarantee jobs were encouraging but they were not the collective wage and job guarantees customary among German unionized workforces. Guarantees to individual workers are easier to rescind than collective wage deals that are binding for an entire workforce, Schmitz said.